My first solo show in London. Visit the beautiful Garden Museum in Lambeth and see a selection of sculptural pieces and drawings made over the past year, all on the theme of greenhouses. I am interested in the way that humans and plants co-exist – how we attempt to curate nature yet it proceeds to grow and thrive beyond human ordering. The glasshouse represents a site where this is particularly apparent – a manmade structure cultivated with carefully selected plants that have then grown to fill the space and create their own contained eco-system. Inspired by Glasshouses across the UK and Denmark (where I have recently completed a residency) including the Palm House at Kew Gardens, Glasgow Botanical Garden, University of Copenhagen Botanical Garden and greenhouses of the Garden Visits Committee in urban London gardens, I have attempted to capture these steamy, earthy, otherworldly enclosed-environments, focusing particularly on the way the plants naturally create compositions and interact with the human-built enclosure that they grow within. Small sculptures hidden around the exhibition space celebrate the plants that have escaped the greenhouse or made their home outside its walls. The museum has become a special place for me over the past year - it has been home to my piece Daydream since it reopened in May 2017 and I have been running a series of clay workshops in the new learning space there, including a ceramics course for people with dementia and their companions. An exhibition of photographs of these classes and some of the participants work will open on the same night as the exhibition of my work. For those of you that didn't make it up to Stoke or the Lake District, this will be a chance to see my large-scale Glasshouse piece. I'll also be exhibiting some of my drawings for the first time as well as other sculptural pieces. The exhibition runs until September 26th. This September I was lucky enough to be awarded a three week residency at Cove Park, supported by the Fenton Arts Trust. I spent my time here gathering inspiration and experimenting with ideas for some new stop-frame animations. My studio and living space overlooked the beautiful views of Loch Long. 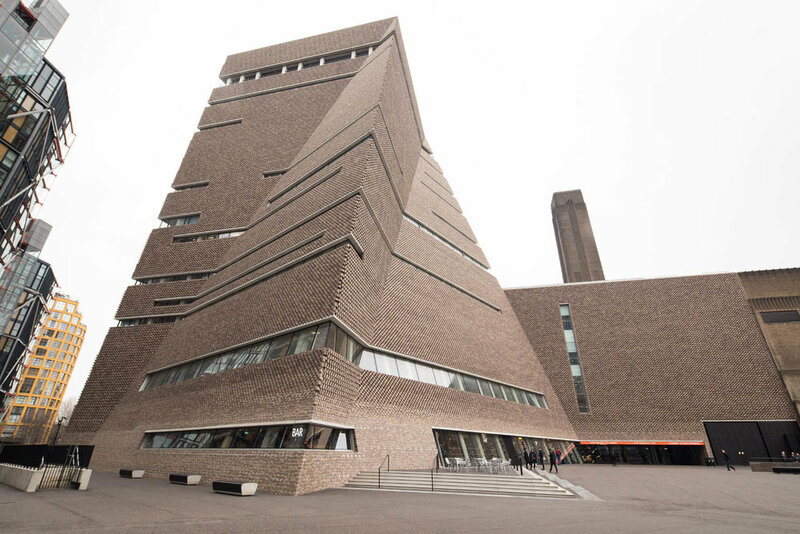 Wednesday, Thursday, Friday 1–7 PM, Saturday 2–6 PM and by appointment. My animations The Wilds of 5 Lely Court and In the Meadow have been selected for Real to Real Film Festival. Produced by the Crafts Council and Crafts magazine it is the UK’s first film festival devoted to craft, will showcase the breadth and depth of talent and technique that spans the UK’s craft and moving image communities. The festival aims to give a platform to the wealth of films that explore themes of making, makers, materials and process in the broadest sense. Ranging from documentaries about extraordinary artists to hand-crafted animations and conceptual artworks selected films focus on material either as subject matter or as intrinsic part of the filming process. The Festival will return to Picturehouse Central for a three evening takeover on 2, 3 and 4 May 2017. Expect a selection of films that capture skill in action, unveil hidden processes and invite us to look again at materials and those who shape them. In May myself and artist Kaori Tatebayashi will be undertaking a week long research residency at Forde Abbey in Somerset as part of A Landscape of Objects curated by Flow Gallery and commissioned by Somerset Art Works and funded by Arts Council England Grants for the Arts Lottery programme. From my research on this residency I will then produce a body of work that will be exhibited in the Abbey in September as part of Somerset Art Weeks. Myself, Kaori and artists Anne Marie O’Sullivan, Tom McWalter, Eleanor Lakelin and Vezzini &Chen, who will also be exhibiting there, visited a few weeks ago. Its such a beautiful place and I am really excited to be able to have a week exploring the gardens and building and developing ideas for new pieces. I am extremely excited that the V&A purchased my piece Hedgerow. It was purchased at Collect by the Ceramics Department, though could be put on display anywhere in the museum. A selection of my pieces are currently on show in The Best Bogus Botanical Garden at heliumcowboy Gallery in Hamburg. Rosie Jenkins, Eline Verstegen and Chiara Villa the exhibition aims to foreground art practices that explore this shifting relationship humans have with nature. More specifically, the participating artists Giovanni Castell (GER), Lisa Creagh (UK), Sakir Gökçebag (TUR), Janaina Mello Landini (BRA), Liz Orton (UK), Jens Rausch (GER), Maren Simon (GER), Katie Spragg (UK), and Sadie Weis (USA) simulate the very nature we have become distanced from, either by manipulating organic elements in new forms, or by inventing their own materials. 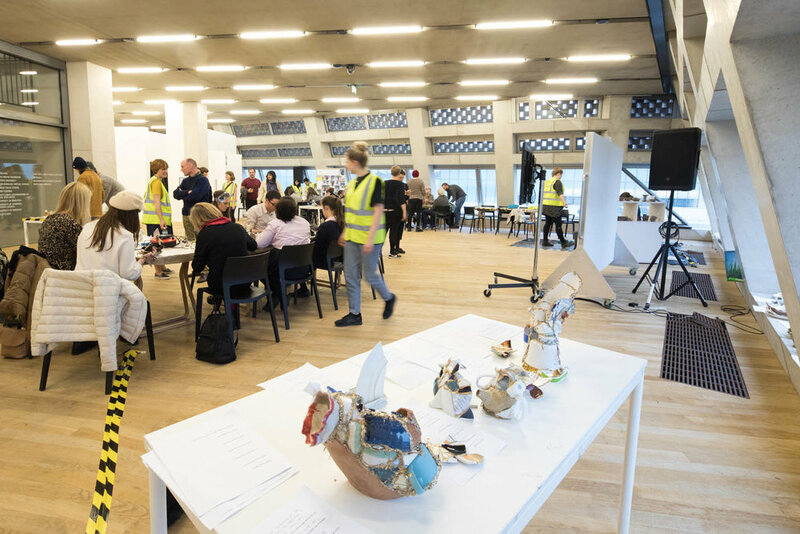 In September along with Mary O’Malley and Eva Masterman, as Collective Matter, we were commissioned by the Nine Elms Vauxhall Partnership to develop a project 'Material Action' for Tate Exchange. This project brought together three galleries from South London; Gasworks, Beaconsfield Gallery Vauxhall and Pump House Gallery and offered opportunities for 14-25 year olds to work with clay and share their stories of their local area. It was a huge project, we produced a range of workshops and events including the creation of a huge collaborative clay cityscape in the Beaconsfield arch, an storytelling exchange recording people's stories of where they live, brick-making workshops with secondary school pupils and a youth club in the Patmore Estate with the results displayed in an installation at Pump House Gallery, a panel discussion that brought together the three partner galleries and artistic communities to explore the wider critical landscape of the project and kintsugi and digital handmade workshops where new heirlooms were made at Gasworks. 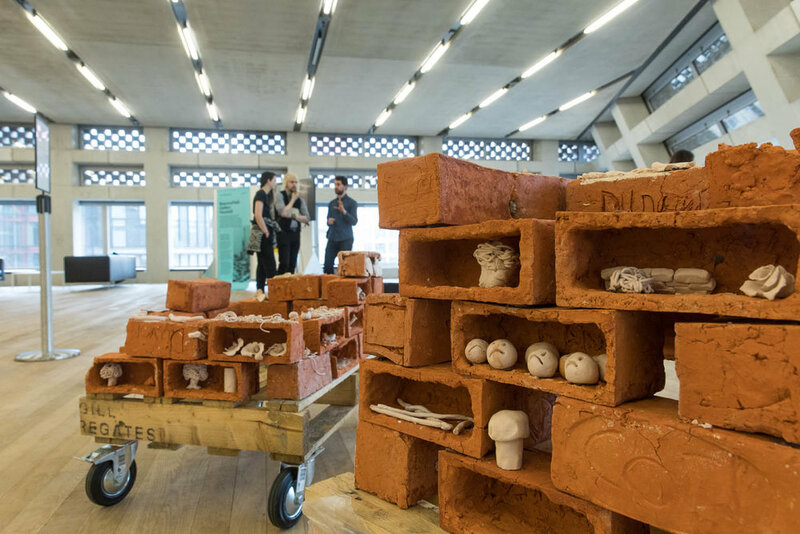 A final event was held at Tate Modern on the 10th of March where we showed off the results of the six month project and recreated three of the clay workshops in the Tate Exchange space. Four of my smaller sculptures and two of my films have been selected, from over 600 submissions, to be exhibited at Talente, a show to to promote young designers in all areas of the craft sector at the Handwerk & Design International Trade Fair in Munich, Germany. In February I had the opportunity to show a collection of new pieces in my own 'Spotlight' space, with Flow Gallery at the Crafts Council's art fair for contemporary objects. The Collect Spotlights are: "a handful of galleries have been selected to exhibit experimental work displayed in innovative ways that seeks to challenge, excite and create discussion around the aisles of the fair." I showed my film installation While Away, inviting visitors to take a moment out of the busy fair and lie back in my chair with a film of porcelain grass bouncing gently over their heads and the soundtrack of Hyde Park on headphones. This exhibited alongside three new works; that continued my exploration of ways of immersing the viewer in a moment. Each piece represented a different natural landscape; hedgerow, forest and meadow, the scenes inspired by my observations and experiences whilst on a residency at the Scottish Sculpture Workshop in September 2016. I have created two new works that will be exhibited by Cynthia Corbett Gallery at the London Art Fair in January 2017. This new work, Victorian Legacy, used the device of the glass dome to explore our relationship to nature depending on social and cultural factors - what makes us class something as a weed or invasive or not? In October 2016, I received a scholarship to attend the American Crafts Council Conference Present Tense. Here a got an introduction to the state of craft in America and was able to consider the common concerns shared with us in the UK. I met some great people, especially the other scholarship attendees, most of whom were at a similar stage in their careers. I also used the opportunity to explore the landscape of middle USA, driving across Nebraska to Colorado and staying in the Rocky Mountains. I also visited a nearby manganese mine to collect stones to be smelted for their ore for the Turf to Tools project, explored the Cairngorms, hung out in the whiskey barrel sauna, collected too many stones to bring home and begun experimenting with new types of clay and techniques. The research I did during this residency has gone on to inspire new work, in particular a series of three peephole boxes I made for Collect 2017. The September/October issue of Crafts Magazine, featured editor Grant Gibson's interview with me and his discussion about my work, following my degree show a few months earlier. In September 2016 I was selected to exhibited with Future Heritage at Decorex. The stand is curated by Corinne Julius and showcases a select group of makers who presented new work and processes that can be commissioned by interior designers and architects for use in their projects. I created a series of new works especially for the show, visiting Syon Park where the show is held and drawing grasses and meadows in the surrounding gardens and then creating them in porcelain. I also had the opportunity to show my large scale installation Wildness and my series of stop-frame animations in a new context. Just arrived at @gardenmuseum ahead of a busy day teaching... I've got my Clay for Dementia class this morning then the first of the workshops for Lambeth Young Carers as part of @lambethwilds. But look at the light in the beautiful learning space! I'm back in the studio today, after what feels like a while. It's really nice to be thinking and considering some ideas for an exciting upcoming project. Thinking about collecting and accumulating. My studio is full of bits of plants and grasses! Very excited to share that I'm guesthosting over on @potsinaction over the next two weeks. It's such an amazing, informative feed on all things clay. Run by the super-potter @ayumihorie. I'll be posting on the theme of animation and ceramics with #PIAAnimation. Ayumi launched it last night with an intro post of my animation, 'In the Meadow', here is a second one produced around the same time 'The Wilds of 5 Lely Court', turn the sound up to hear my own dandelion stem foley. And head over to @potsinaction's feed to follow the action unfold and meet lots of other amazing clay-animated films. For the last set of pieces I made, for Collect, I designed the packing boxes so they could double up as display cases, knowing that collectors can be anxious about the safety of the pieces when displaying them. @geoffreygdesign of course did a beautiful job of making this a nice, sturdy reality! Swipe through to see. He's over in New York checking in on a barber shop front he's built for @johnnyschopshopbarbers at the mo so I'm missing him lots! This piece 'Burgess Park Morning Turf' will also be going on its travels, to Paris, having been shown with @joanna_bird gallery at Collect, a month ago. I'm doing a takeover on @gardenmuseum today, to share some of my findings from my research residency there over the past month. I'll be sharing some of the amazing objects I've been looking at from the archive - lots of pressed flower albums and beautiful botanical illustrations. I have also started a new account to document the whole @aceagrams funded project. Please follow @lambethwilds - and tag and share your own stories and observations of local wild plants. Happy International Women’s Day! I am on the third day of my residency at the @gardenmuseum for my @aceagrams funded project #LambethWilds. I’ve been having a joyous time in the study room looking at old things - mostly books, and came across this delight ‘Every Lady her own Flower Gardener’. I’m not sure what that means but may every ‘lady’ be her own whatever she wants! Collect continues today and over the weekend. Come see this new piece ‘Kenwood Ladies Pond Meadow’ before it heads off to its new home in Paris. • For Collect this year I have created a new body of work that celebrates London's urban nature; from the edges of Kenwood Ladies' Pond in Hampstead Heath to the variety of ferns growing from the drain outside my house. This work has been conceived and produced in my studio over the past six months giving me time to reflect and ruminate on the politics and issues that are connected to the plants we live alongside. While these sculptures appear as elegant renderings of nature, for me they each connect to an contemporary issue or story; female only spaces, the demolition of London's historical buildings and people's (my) home/s, communal and private greenspace, travel and displacement of people and plants and humans and plants co-existence. • See my work on @joanna_bird‘s stand 2.1 on the ground floor at Collect, Saatchi Gallery, 11-6 today- Sunday. Earlier this week I sent out my newsletter with updates about Collect (on now-Sunday! ), my project ‘Lambeth Wilds’ at the @gardenmuseum and my new teaching job. For a read and if you’re not already subscribed and would like to click the link in my bio. This is a lovely image of my studio taken by @sylvaindeleuphotographer and a taster of my collecting and drawings you might see at one of my @gardenmuseum residency open days.